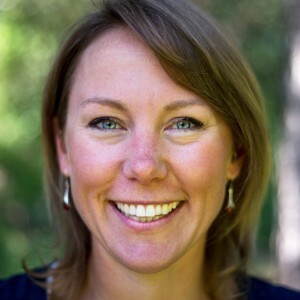 Dr. Aerin Jacob is a Conservation Scientist at the Yellowstone to Yukon Conservation Initiative (Y2Y). She has worked as a researcher, consultant, and educator on animal behaviour, environmental science, and conservation biology across western Canada, Alaska, East Africa and Central America. She designs, conducts, and communicates multidisciplinary research to inform conservation practice across the 1.3 million sqkm Yellowstone to Yukon region. Current research projects include studying human-wildlife coexistence, ecosystem connectivity, and Indigenous approaches to conservation. She is a member of the Liber Ero Fellowship for outstanding early-career conservation scientists in Canada, and the Canadian Environmental Planning & Assessment Caucus, and a past member of the Science Integrity Project, Pathway to Canada Target 1 expert task team on biodiversity and ecosystem services, and the Sustainable Canada Dialogues network working on climate action and sustainability initiatives. Dr. Jacob received her PhD from McGill University where she studied tropical forest restoration in Uganda, and conducted postdoctoral research at the University of Victoria where she worked with First Nations on conservation planning on the British Columbia Central Coast. She is active in science communication, public and policy engagement, and initiatives to diversify science.